Capture the beauty of pious faith in this expertly crafted St. Brigid's cross pendant. Apples of Gold brings this simple symbol of faith to your very own jewelry collection. 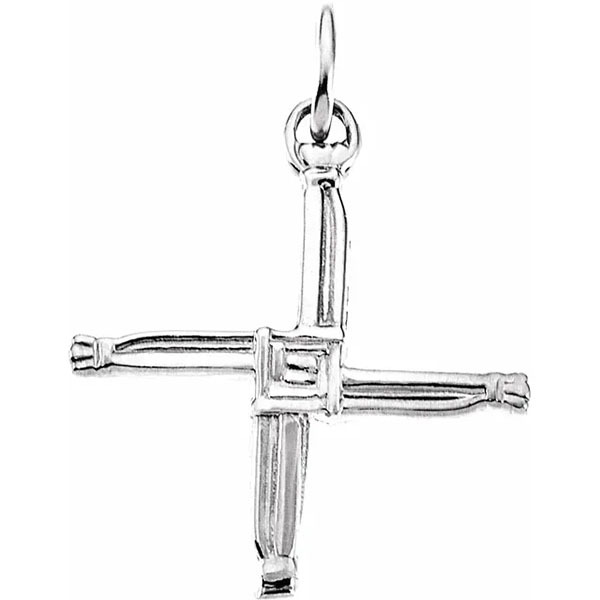 The St. Brigid's cross is crafted of high quality 14K white gold which makes for a radiant base. The cross pendant is modeled after St. Brigid's cross, which features a woven look. The excellent detail in this pendant gives this cross a bucolic design. The entire gold cross pendant is given a polished shine to complete the style. We guarantee our St Brigid's Cross Pendant in 14K White Gold to be high quality, authentic jewelry, as described above.